Before locking in, make sure you check the rates across different maturities. Summary: Term deposits are regarded by most yield hunters as the safest of the safe. But that’s not always the case. Key take-out: Thousands of investors could be missing out on the best rates as well as the benefits of compounding. Banks and other financial institutions are locked in a fierce battle for a share of Australia’s growing term deposits pool, with more investors using these fixed income products as a strategic part of their portfolios. The big attraction of term deposits, of course, is they provide investors with a guaranteed yield. In addition, the Federal Government’s continuing guarantee on all deposits held in authorised deposit taking institutions, up to a maximum of $250,000 per individual, is an added hidden bonus. On paper, no investment product could be any safer. They pay more than general savings accounts, the downside risk of losing money doesn’t exist, and the rate of return and repayments is completely locked in. Yield hunters, especially retirees, collectively have invested billions of dollars into term deposits, and those happy to lock in a five-year fixed rate returning above 3 per cent can do so now and retrieve their initial investment, plus interest earned, in 2024. Yet the race for term deposits market share is producing some confusing anomalies in the yields being offered to investors, with some shorter duration products actually delivering higher returns than longer-term ones. As such, investors could potentially suffer an opportunity cost by picking the wrong fixed term deposit duration period. In some cases, just one month can make a big difference in total returns. Adding to the potential confusion is the fact that there are 14 different duration periods currently available on term deposit products, although most financial institutions don’t actively promote their full term deposits range. They prefer to channel investors into longer-term products, where the money is locked away at a fixed cost for at least several years. Great care also needs to be taken in selecting products, with some institutions only paying interest at the end of maturity and others annually. Investors going into those products miss out on the benefits of compounding available on term deposits that pay interest monthly or quarterly, with each payment period increasing the total amount on which subsequent interest is paid. These are all potential yield traps for investors wanting to lock their funds into products to achieve a risk-free rate of return over a specific period of time. This term deposits comparison tool makes it easy to compare the term deposit rates on offer by financial institutions for different amounts, maturities and repayment frequencies. It shows there is currently a higher average interest rate on offer for three-month term deposits over four- and five-month products, which in financial industry circles is known as an inverted yield curve. Strong investor demand for long-term securities creates the conditions for banks and others to drop their interest rates, with fixed-income investors most affected because they are locking their funds away for longer periods. An inverted yield curve is also a predictor of lower interest rates in the future, which is now the expectation among economists in Australia as pressure mounts on the Reserve Bank to cut its official cash rate below 1.5 per cent, where it’s been on hold for almost three years. In the term deposits space, the highest average yields now available on six- and seven-month term deposit accounts are above the best rates being offered on products with durations between eight and 11 months. That is, it’s possible to secure a term deposit yield of 2.85 per cent on six and seven-month products. But the best rates on longer-term maturity products over eight, 10 and 11 months are now only 2.7 per cent – a relatively small yield gap of 0.15 per cent, however still meaningful on large deposit amounts. Likewise, the average term deposit yield on nine-month products is 2.75 per cent. That’s 0.1 per cent below the average rates on six- and seven-month terms. A six or seven-month term deposit will currently pay identically the same rate as a 12- or 24-month product. A minimum investment of $10,000 placed into a six-month term deposit will earn $142.50 at an interest rate of 2.85 per cent, versus $137.50 invested for eight, 10 or 11 months at 2.7 per cent. The gap is obviously much more pronounced on amounts of $100,000 and above, so the many thousands of Australians using term deposits as a key tool in their investment portfolio arsenal therefore need to tread carefully. Term deposit durations of 12 months and above are currently offering the highest overall yields, with average rates of 2.85 per cent for one- and two-year products, 2.9 per cent for three-year terms, and 3 per cent for four years, and 3.2 per cent for five years. But shopping around is imperative, as the full term deposit product range shows a vast difference in rates across different maturities. For example, while it is possible to snag a five-year fixed yield at 3.2 per cent currently from Rabobank, which would pay a return of $1,414.17 on $10,000 over 60 months, several financial institutions, including major bank ANZ, have a five-year product paying 2 per cent or less. On a $10,000 investment over five years, the total return on the highest rate of 3.2 per cent is more than double that of the lowest five-year product, which is being sold in the market at a rate of just 1.2 per cent. InvestSMART has partnered with The Term Deposit Shop to make it easier for investors to compare products and to move their term deposit funds from one institution to another on maturity, without the need for filling out paperwork. 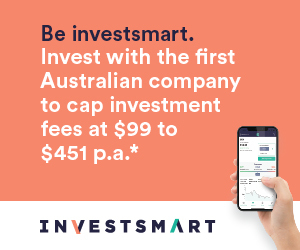 InvestSMART members also can update their cash position in our portfolio manager, and we will also send alerts letting you know the best term deposit rates available when your funds are about to mature.